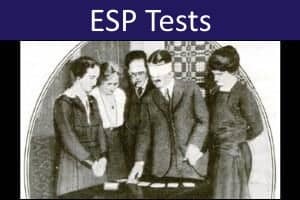 The targets used for these tests are the standard ESP Cards (sometimes called Zener Cards) as used by the parapsychologist J.B. Rhine in his classic studies of Extrasensory Perception. 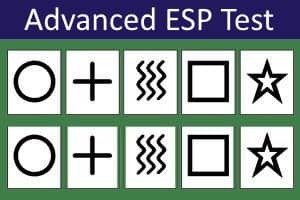 These show five different symbols. In this test, a card is selected on each trial by a pseudo-random computer algorithm. There is no discernible pattern to the sequence of cards. 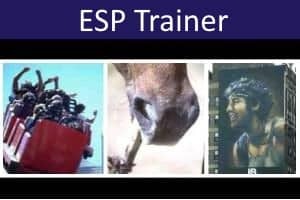 Although equi-probable, the cards will generally differ in the overall frequency with which they are selected (in the same way that tossing a coin several times will not necessarily result in equal numbers of heads and tails). You have to guess 50 cards. The actual card will be shown after you click on your chosen symbol. A statistical analysis of your results will be shown at the end. 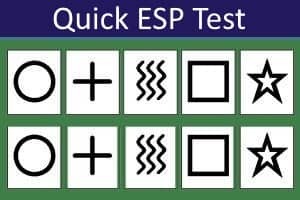 To show any evidence of ESP in our championship test, you need to score at least 17 correct guesses (hits). The probability of obtaining 17 or more hits by luck is less than 0.05 (1 in 20 chance). If you obtain a score that is equal to or higher than one of the top scores obtained by our users, you will be given the opportunity to submit your data to us so that you can be added to our published list of champions! 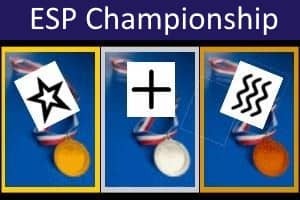 Try to beat our top scores to become an ESP champion!